From "yum!" to "ummm?? 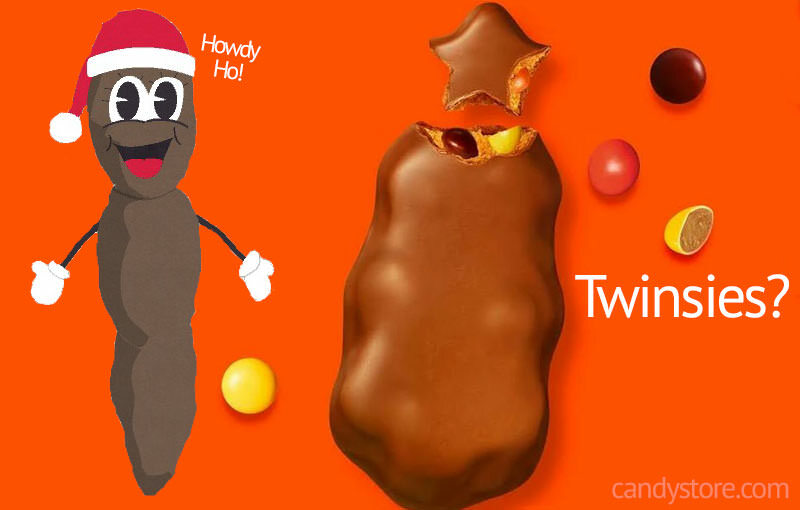 ", there are a bunch of new candies to enjoy this holiday season, and our friends over at CandyStore.com put together a handy list. The best looking thing on the 2018 list is definitely the holiday themed chocolate covered Oreos, which I give an enthusiastic "YUM!" to. They go on to talk about hot cocoa Hershey's Kisses (yes, please! ), a Reese's Advent calendar (Reese's every day leading up to Christmas? I can support that! ), and gingerbread man Peeps (I'm wavering, but you still got me). Ok, well, that is indeed unfortunate. And then we get the mac & cheese candy canes. Yes, you read that right. Courtesy of the same company that is also offering rotisserie chicken and pickle flavored candy canes. Thankfully, holiday themed Kinder Joy eggs and a Hershey's/Reese's mashup saves the day (and appetite). You can check out the whole list from the CandyStore.com crew by clicking here.